ACOMBINATION of food and social gatherings is the most archetypical description of what Malaysia is all about. Another, most noteworthy trait is undoubtedly the local driving style. In this column two weeks ago, I shared a list of typically Malaysian habits that make us foreigners feel like we belong here too. If you happen to be a regular reader of this space, you will remember that most of the events were somehow related to food. And if you haven’t read it, well, now you know. Today, let me reflect on what I like to call Malaysia boleh driving. The local driving style is so unique that every new resident to Malaysia has to overcome a certain level of fear before being able to brave domestic traffic. 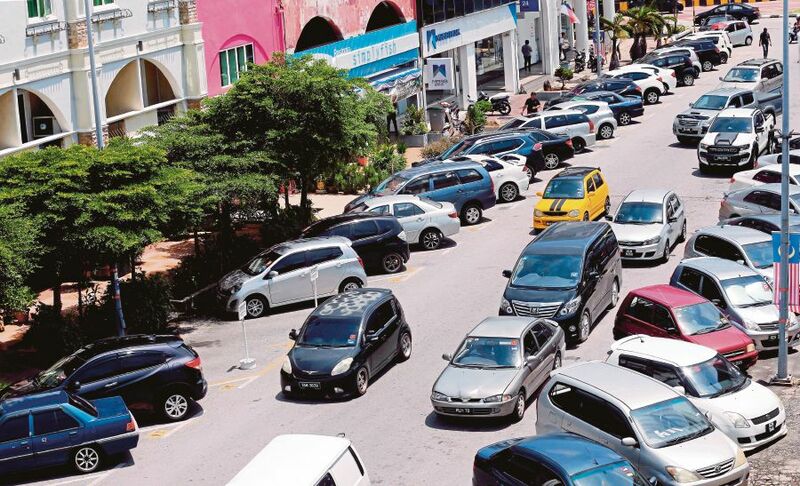 Most of us have become used to navigating traffic jams and roadside parking during Friday prayers. For a newcomer, however, it’s an experience of a different magnitude. I passed my driving test in Switzerland many, many years ago and the poor man entrusted with teaching me became a very close friend. He visited us a few years ago and, suffice to say that, had he not been completely bald, his hair would have gone from brown to white just by sitting in the passenger seat on the way home from the Kuala Lumpur International Airport. “He changed lanes without signalling!” he exclaimed more than once. “This guy’s on the phone…” you get my drift. Imagine my former driving instructor’s amazement, had he received the WhatsApp message that I got today. Not only my bald friend, but any naïve or non-initiated road user would shake his head in disbelief at this text message (which I do hope was not written while driving). Speeding could be regarded as the odd one out here, as everybody is in a hurry once in a while. Also, 80kph seems awfully cautious on an empty Damansara-Puchong Highway, Duta Ulu-Kelang Expressway or Shah Alam highway. Even my diehard Ferrari Fan friend would agree. I take this and many more somewhat unorthodox occurrences of daily road usage in stride by now. I’ll admit to subscribing to a certain level of nonchalance myself these days. But crossing double lines, running red lights and overtaking traffic on the emergency lane are cringe worthy offences. And while I am at it, let me say that, so is, obviously, texting while driving, letting your toddler sit on your lap and hold the wheel, reading the newspaper in the driver’s seat, or allowing your children to stand up and stick their heads through the open sun roof of the moving car. My driving teacher was beside himself with shock as he kept witnessing such lack of common sense on the roads. corners here and there, especially during rush hour traffic, or when confronted with a total absence of legal parking opportunities. However, while the saying “While in Rome…” can and should be translated to “While in Malaysia, do as the Malaysians do” as far as the local “colorit” of everyday situations goes, some habits clearly need to be avoided rather than imitated. I have braved the roads of Kuala Lumpur for almost 20 years now, and I am quite proud of the fact that, thanks to my sound driving education, I have done pretty well so far. Should Malaysian drivers decide to become more responsible and law abiding in future, it would be a big step forward in regards to quality of life for everyone involved. How much is Malaysian art truly worth?